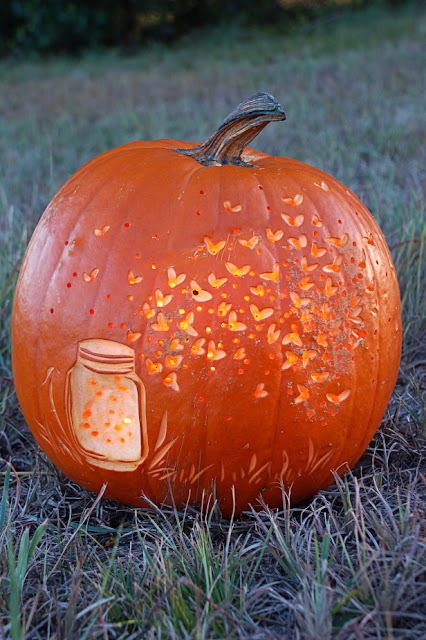 If you want to REALLY show off your love for jars, you will make one of these amazing carved jar pumpkins. Click here to see the original image over at HGTV Gardens. I am smitten with this one y'all! !